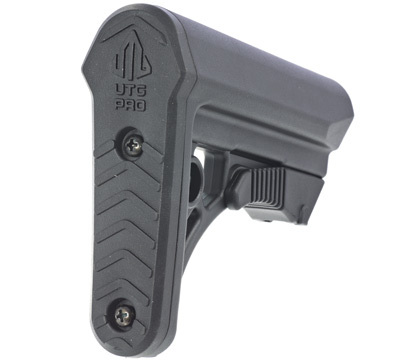 Built for heavy-duty use with the tightest tolerance controls to provide the most secure fit and function. 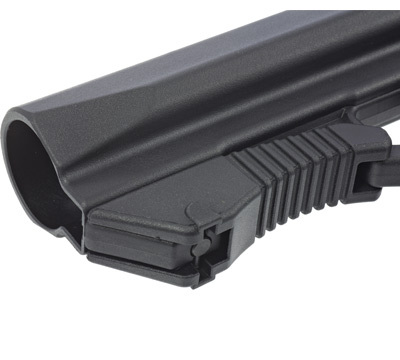 Mil-spec stock molded from impact resistant high-strength polymer in black. Integral ambidextrous sling loop and reversible QD sling housing for left or right hand shooters. 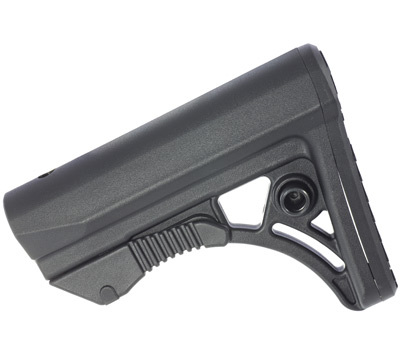 Unique 6.05" length and sub compact profile for superior lightweight, yet comfortable performance with 6 position adjustability. Made in the USA by Leapers®, Inc.